The Ecorkhotel, Évora, Suites & Spa is the most recent 4 star hotel in the Évora district. 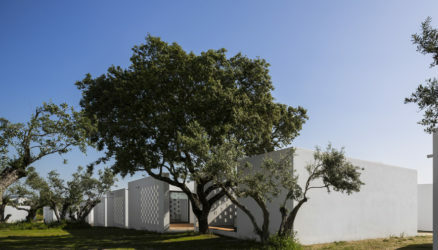 This eco-hotel has 56 private suites with 70m2 each, surrounded by centenary olive trees, holm trees and cork trees. It features a modern design, a contemporary and relaxing ambiance and a large green garden inserted in Alentejo’s breathtaking landscape. The main building of Ecorkhotel is coated with cork which is a 100% natural product and works as a thermic and acoustic isolator and allows for an exceptional energetic efficiency. It is the first of its kind to be certified in Portugal and the first one in the world in the hospitality sector. 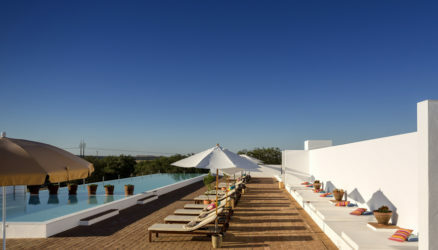 The Ecorkhotel, Evora Suites & Spa uses geothermal energy and solar panels to heat the main building, the swimming pools and the water used throughout the hotel. The hotel was planned and built having maximum energetic efficiency in mind.